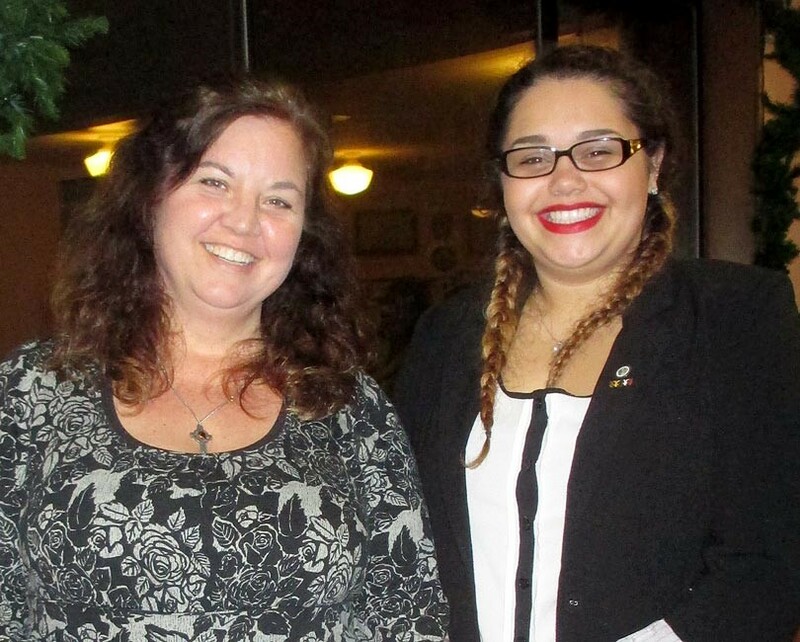 Kelly Widener, social media specialist; and Ariah Suek, Public Health student assistant, at MVHCA meeting Jan. 25th. Attendees at the program “Building a Healthier Community” at the Linn County Fair and Expo Center Jan. 25th. The forum, from 10:00 to 2:00, featured talks by state and community health experts and leaders in affordable housing from Linn, Lincoln, and Benton counties. The goal was to show the intimate relationship between adequate housing and health, stressing the importance of integrating services to achieve both. Wearing a long-sleeved white shirt and seated at the table in front, almost in center, is Jim Moorefield, director of Willamette Neighborhood Housing Services. Dr. Kevin Ewanchyna, Medical Director at the Intercommunity Health Network, which provides services for patients enrolled in the Oregon Health Plan, talked about the importance of housing to maintaining health. Tatiana Dierwechter, of Benton County Public Health Department, spoke on a panel discussion titled Coordinated Care 101. At a working lunch, small groups were given discussion topics and asked to list themes. Here, Linn Benton Health Authority director, Donna Holt, at left, is writing concepts related to “Making it Happen,” i.e., integrating and aligning services provided by different agencies. With her are 2 table members, Karl, who represents a company that serves disabled people among others, and Yvonne, who is a board member of Ten Rivers Food Web. Their diverse work fields illustrate the wide range of interests needed to create a healthy community.